In the early days of underground coal mining, it was a very hazardous occupation to be a coal miner, There were risks of cave ins, but by far the greatest hazard was underground explosions. These were caused by the release of gases during the process, whether from drilling or with picks used to break the coal from the coal face. The two main gases were Carbon Monoxide and more importantly, Methane, which was highly explosive. Both gases are colourless, odourless, and tasteless, so there was no way of knowing if those gases were present. These days, we have vast open cut mining, and for those underground mines still in operation, there are early warning gas detection devices that warn very early of any gas presence. However, in those early days there were none of these things. One method the miners did have to warn of the presence of these noxious gases was by taking a caged canary down into the mine. The small bird was in fact the early warning device. Being small, it very soon succumbed to the effects of the presence of any of those major noxious gases. As long as the small canary was alive, then the air was still fit for breathing. If the bird died, then it was time to vacate the mine as quickly as was possible. 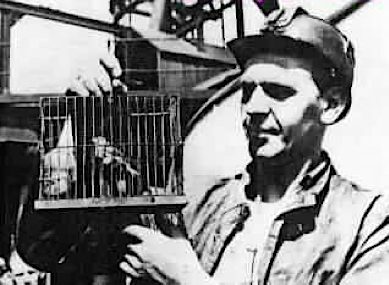 Hence the use of the term ‘canary in the coal mine’, and, while not a very common term, it is now used as an indicator of things. So then, how can we relate this term to one aspect of the current Climate Change scare? Over the last number of years, we are told about the emissions of Carbon Dioxide (CO2) and how this gas has been labelled as the worst one of those Greenhouse gases that are causing major warming of the Climate. CO2 emissions come from a variety of sources, Industry, transport, farming, and also from natural causes, but by far the largest emitter of that CO2 is from the large scale generation of electrical power. This source is the largest of all emitters and in fact makes up between 35 and 40% of all (man made) emissions. Those emissions come from all generating entities that burn fossil fuels in huge furnaces to boil water to huge amounts of steam to drive the turbine that drives the generator that produces that power. While Natural Gas and oil are used, they emit less CO2 than the largest source of all sources of CO2 emissions, large scale Coal Fired Power Generation. Having been told for so many years now that this source of emissions is in fact so deadly dangerous, then you could imagine that something is being done about it. So, is there an indicator as to what is being done to in fact reduce what we are told is the imminent danger that these emissions are causing? Is there, figuratively speaking, a ‘canary in the coal mine’ indicator as to what is being done by those in positions of power to reduce, or even stop those emissions, if they are in fact so deadly dangerous. If the bulk of those emissions is coming from coal fired power generation, then that indicator should be that those in political power are making decisions to close those large scale coal fired plants down, thus removing large amounts of CO2 emissions from entering the Atmosphere. So, are Governments around the World, all of them now acutely aware of what they are told is the result of those emissions, Climate warming on a dangerous scale, then are those Governments closing down those large scale coal fired power plants? Let’s look and see if that indicator is indeed obvious. I have been contributing Posts at this site now for four years, now more than 900 separate Posts, the vast bulk of them based around this one thing. Right from the outset of those four years I wanted to show what it would take to comply with what The Kyoto Protocol called for, a vast reduction in those CO2 emissions, and knowing that the bulk of them came from coal fired power, my task was to explain how many of those coal fired plants needed to close, and what might they be replaced with to achieve this. What I needed to know was how many coal fired plants there were, and how many of those large scale plants needed to close, just to comply with the needed reduction in CO2 emissions. Luckily, we have detailed information on those coal fired power plant numbers, and here I am using data from the U.S. the second largest CO2 emitter on the Planet after China, and that U.S. information is more readily accessible. Look carefully at this chart at the right. If it is too small, then click on the image and it will open in a new and larger window. What I want you to specifically note is that number of coal fired plants in the bottom two columns. This indicates all the power plants with a generating Capacity greater than 1500MW. These are the large scale power generators. There are 67 of them and the total Nameplate Capacity is a tick over 140,000MW, which is an average of around 2100MW, and this is what I am refer to as large scale coal fired power. Here are a few percentages to keep in mind when referring to this chart. Note how the number of plants in all is barely 11% of the total number of plants. However, the total Nameplate Capacity is 41% of the total Nameplate Capacity. That of itself is also slightly misleading as these plants in fact provide close to 56% of all the coal fired power distributed for consumption. That is because these large scale plants run at their most efficient when operating at their maximum, and for that reason, they are kept in operation all the time, excepting for down time for maintenance. Some plants smaller than these large scale plants also operate at their maximum as well. However, some plants operate only as spinning reserve or as load following plants, again, difficult terms to understand for people not from an electrical background. This means that they are ‘turning and burning’, and also emitting CO2, but they are not delivering power until extra is required by the grids across the Country for those dedicated Peaking Power periods of time during every day. Then they are synchronised to the grid, and brought on line to deliver their power. Those large scale plants however just hum along supplying the vast bulk of their power on a 24/7/365 basis, delivering huge amounts of power for consumption. A typical plant of this large scale will be burning around 6.5 Million tons of coal each year. At the average multiplier of one ton of burned coal produces 2.86 tons of CO2, that means these 67 power plants are themselves emitting close to 1.2 Billion tons of CO2 each year. We are told that this huge emission of CO2 is the single cause of what is now referred to as catastrophic Climate warming. So, knowing that, are those in political power closing any of these plants down? Not one of those plants has closed in those four years I have been contributing Posts on this subject. Well, you say, there may in fact be a quite obvious reason for that. You can’t really close those large plants until there is something to replace them with. So, then let’s look at what we are told is a form of power generation that can in fact replace coal fired power, renewable power plants, mainly Wind Power and Solar Power. Well, as I have also explained in detail over those four years, Renewable Power just can’t really deliver power to replace large scale coal fired power, but you won’t hear that anywhere else, because the idea is to tell people that these Renewable Plants can in fact replace coal fired power. In that same four year period, they have ramped up considerably the construction of Wind power Plants especially. In those 4 years, the total Wind Power Nameplate Capacity has in fact nearly tripled, rising from 17,000MW to the current 46,000MW. That 46,000MW in Nameplate Capacity is the equivalent of 23 of those Large scale coal fired power plants. The considerable increase over that four year period has seen the addition of 29,000MW of Nameplate Capacity, or around the same Nameplate Capacity as 15 large scale coal fired plants. Incidentally, that increase of the 29,000MW is between 15,000 and 16,000 of those huge towers. However, as I have always stated, when it comes to actual power, the figures we should be looking at are not those up front Nameplate Capacity numbers but actual power delivered for consumers to use. Wind power is extremely variable, and while that variability factor is improving, Wind power is barely averaging 30% of its Capacity, and this is referred to as the Capacity Factor. So, while that up front number has increased by that seemingly dramatic number, the actual power delivered has only risen by an amount equal to what is being delivered by about 8 of those large scale coal fired plants. That is still a very large amount of power being delivered by those Wind Plants. So, supplying as much power as 8 of those large scale plants, and keep in mind that there’s only 67 of them, doesn’t it tell you something that NOT ONE of those large scale coal fired power plants has closed in those intervening four years. The most glaringly obvious thing those figures are in fact saying is that those vast numbers of Wind towers CAN NOT replace large scale coal fired power. You may notice that I have not mentioned Solar Power here, in any of its major power plant forms. Well, that’s because, even with the considerable ramping up in that sector as well, ALL of those solar plants are only delivering power equal to what is delivered from ONE large scale coal fired plant in 50 days, so again, Solar Power is so inconsequential as to not even register. So, having now seen that Wind Power is patently NOT replacing any of those large scale coal fired plants, the original question still stands. If this CO2 emissions thing is so dangerous for the Planet, why are they not closing those coal fired plants down? If it was anything else that was so dangerous, it would instantly be removed from public access. That is not the case here at all. That is the indicator, the ‘canary in the coal mine’ pointer as to what is being done. While this U.S. data shows us dramatic evidence that nothing is being done, is the same situation applying anywhere else in the World? Here in Australia, where I live, a similar situation exists, only on a much smaller scale, as we are a much smaller Country than the U.S. In that same 4 year period, Wind power has also been ramped up, and during that time, a total Wind Power equivalent to one large scale coal fired plant has come on line. 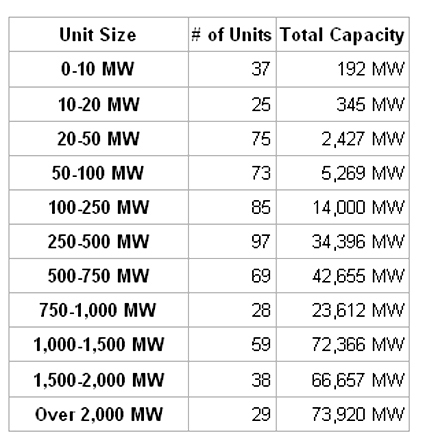 That total Nameplate Capacity is 2003MW, and that is from 965 huge wind towers. Again, not one of those large scale coal fired plants has closed down. The Australian Government is not rushing to close them down either. Instead, they have introduced a cost on those CO2 emissions in the form of a new Tax. They’re not closing them down because of the dire situation, but instead are just seeking to make money from those emissions, something that patently will not lower those emissions, because those power plants will still be needed to supply the huge amounts of power required to run the Country. In fact, the Legislation they have introduced actually has a clause dealing with Energy Security, so, if one of those large scale coal fired plants falls into difficulty because of the imposition of the tax, then the Government will ensure that the plant actually STAYS OPEN. Not only are they NOT closing the plants down, they are in fact legislating to keep them open, in effect not lowering emissions, but ensuring the income from the new Tax. 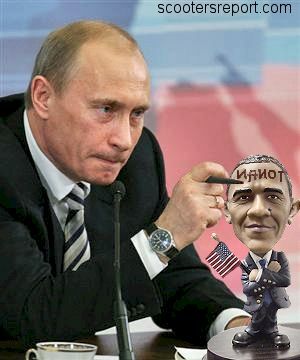 What about what is happening in the wider World. China is bringing on line one new large scale coal fired plant every seven days, and in India it is one every ten to twelve days. The same is applying across the whole Developing World, as those Countries develop further. The United Nations is the one who originally brought this to the notice of the World. So, are they seeking to close down large scale coal fired power plants? They are in fact actively funding, through their subsidiary, The World Bank, the construction of large scale coal fired power plants in that Developing World. No one, anywhere, is closing down those large scale coal fired plants because of the threat of what those CO2 emissions are leading to, what they tell us is catastrophic Climate Warming on a Global scale. Refer back to that chart above I have included with this Post. That information is taken from a site called Existing U.S. Coal Plants – Source Watch. That site says as much as can possibly be said that is bad about coal fired power, but what they do is give us data that we can observe with our own eyes. At that site they also detail the age of those U.S. coal fired plants. The average life span of any coal fired power plant is around 50 years, and as can be seen at that site, there are around 250 of the near 600 coal fired plants in the U.S. that are older than 50 years, with around 60 of them older than 70 years, and some even 80 and 90 years and more old. At one stage, four years ago when I started, the AVERAGE age of all coal fired plants in the US was just on 49 years. That average age has come down now to around 45 years as older plants are closing down. That site also details plant closures, and in virtually every case, the only reason those plants are closing is that they have reached their end of life expectancy. Read that list of plant closures and note specifically the size of the plants that are closing down. Virtually all of them are small plants of no greater capacity than 100 to 200MW, most of them under 100MW. In those intervening four years, only three plants of greater capacity that Medium sized (from 500 to 1000MW) have closed and again, the only reason they have closed is that they too have reached their full life span. This is patently obvious and stark evidence that none of those large scale coal fired plants are closing down. If that CO2 emissions ‘problem’ was in fact as dire as we are being told, then those large scale plants would be closing down, not just one of them here and there, but many of them in an effort to reduce those CO2 emissions. No, this is something that the general public are being conned over. This is in fact that proverbial ‘canary in the coal mine’, and not only is that canary not keeling over and dying, it is fact still singing at the top of its voice. Some people may say that in closing those smaller plants, there actually has been a reduction in the emissions of CO2. Keep in mind here that NONE of those smaller plants (that have closed) has been closed because of the need to reduce those CO2 emissions. They are being closed because they are time expired. You might even assume that because of these closures, then those CO2 emissions would in fact reduce. In those intervening four years, what has been happening alongside the ramping up of Wind Plants has been the considerable construction of Natural Gas Fired Power Plants. On a Watt for Watt equivalence basis, these Natural Gas Plants emit only 35% of the CO2 of a similar Coal Fired Plant. In fact, for the first three years of those 4 years as those smaller coal fired plants closed due to age attrition, CO2 emissions in total from electrical power generation increased. It has only been during this last year that CO2 emissions from the overall electrical power sector have fallen, and they currently sit at the same amount of CO2 being emitted now, as it was four years ago. The slice of the electrical power pie chart taken up by coal fired power has decreased from 48% to the current 42%. That power decrease in that coal fired sector has entirely been taken up by a rise in the power delivered from Nuclear Power, and a considerable rise in power delivered from the Natural Gas sector. What is worth keeping in mind here is that just to comply with the Kyoto Protocol, then that slice of the overall pie that Coal fired power provides in the U.S. needs to fall to 25%, which in fact means closing not only every one of those plants lower than that 1500MW on the above chart, but also cutting considerably into those large scale plants as well, so closures of tiny plants here and there due to age attrition is not going to even make the slightest dent in that overall CO2 emissions total, especially if they are ramping up Natural Gas fired Plants as well. So, when people point the finger at those plant closures, and say that they all add up over time, this again is an incorrect view to take. Thanks for the comment. It’s always nice to receive feedback. Oddly, over the years I have sent links to my Posts to numerous Politicians, both here in Australia, and also even in the U.S. I wasn’t really expecting any of the U.S. politicians to reply, but I thought that maybe I’d get a bite at least from one of those here in Oz. I suspect that all emails go through subordinates and in fact never really get seen by those who it is originally addressed to. I have heard that if the person emailing is not actually a member of the politicians direct Electorate, then those emails remain ignored, but I’ve found it even applies for Senators, some of whose State I do actually reside in. It’s not disheartening, but my actual perception is that I may be perceived as a crackpot, mainly because the data is in numbers that are astronomical, and that makes it somewhat difficult to believe. So, that is why I always use conservative (not over the top) data, and even then those figures are just so huge, that it seems unbelievable. Stark evidence of that is contained within this Post, where I mention that those 67 large scale coal fired power plants emit 1.2 BILLION tons of CO2, which in fact is almost 40% of all electrical power generated CO2 emission in the U.S. just from 67 power plants. See how difficult that actually is to envisage, let alone take as fact. So, thanks for the comment, and you may use any of it for whatever purpose you wish. Brilliant Tony. Pure common sense backed up by verifiable facts, your article should be required reading for everyone. Have you thought about sending it to every Australian politician, State and Federal and also to every news media outlet possible? There are chinks beginning to appear in the MSM armour so you never know, some enterprising Editor on investigative journalist (if there any left) may be prodded into running it. I reckon MENZIES HOUSE for one, would love it. I’ll do my best to link it where I can and with your permission will reprint it for some judicious speading to places where I think it will do most good in Tasmania. On a personal note, it’s great to have finally worked out how to use my WordPress a/c enabling me to comment here.